I hope your weekend is off to a great start. So far, it's smooth sailing around here (pun intended)! 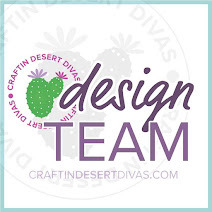 Today is Scrapbooking Saturday over at My Cricut Craft Room and I have a sweet layout to share with you. If you have visited my blog in the past, these photos may look familiar to you. I have used the same pictures in my scrapbook of Blake (my darling grandson). But today's layout of these photos is for the scrapbook I am working on for Blake's mommy! (And I wonder why I can never get caught up?). If you would like to see how I scrapped these photos in my book, click here. Patterned paper for this layout is from the Nantucket Stack from DCWV. Solid colors are from my paper stash...I was able to use up a few paper scraps on this one! * Martha Stewart punch for the red strip along the side and some white ric-rac. * Sailor Boy is cut using Alphalicious at 1.5 inches. * The compass is from Cricut's Pack Your Bags, cut at 3.5 inches, I added a silver brad to the center. * That awesome Martha Stewart punch and more ric-rac. * The anchor is from Life Is A Beach. I cut the anchor at 3.5 inches and added some red/white twine. I also added a few dots with a sliver gel pen. * I cut that cute sailboat form Life Is A Beach at 5.5 inches. A few stitching lines and silver brads really brought it to life! I used the same MS punch to create a few waves for my boat. I may have gotten a bit carried away with the ric-rac on this one, but I love the nautical feel it adds to the layout. Doesn't Blake make an adorable Sailor Boy? I hope you enjoyed my layout today! Thanks so much for stopping by, I always look forward to your visits and your sweet comments. 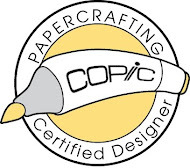 I hope you will stop by My Cricut Craft Room and see what the other designers have in store for you today! Awesome LO and it helps that you have the most Cutest little baby to show it off. TFS. Ok... So the LO is amazing, but I think those adorable pictures steal the show! He is a cutie!!! He is just the most adorable little boy! What a terrific layout! I love that you featured him and not the details of your layout! Beautiful pages that show off the subject! What a great way to scrapbook! What an adorable boy you have! I love the Layout! The sail boat is what caught my eye after your grandson! Great job! Can't wait to see more of your creations! Hope you have a great crafting day! Yowza... is there really such a thing as too much ric-rac? :) Great layout! What an adorable layout - he's such a cutie patootie. You must be one very proud grandma. I love the paper and the sailboat turned out fabulous. You're right, the stitching and brads really brought it to life. Wonderful job. Enjoy your weekend. Great layout. But he is adorable! super layout. love the ric rac, the boat, the border, oh just everything about it. and that precious little sailor boy. This is just adorable!! Love the sailboat and the ric rac is a great touch. I like your lay out. The ric rac looks good on this one because it reminds me of the water. Looks like a lot of work involved. Great job. Ahoy Mate (or should I say Happy Grandma!).... Enjoyed your cute scrapbook page. I love the border/ric-rack ~ it adds a whimsical touch to your theme. Thanks for sharing! so cute. And what an awesome sailor!!! Thanks for sharing. Aaaw, these layouts are awesome!!! Oooh, your Grandson is adorable and the pictures are perfect! TFS!